BEST / Certified Organic – These products should contain 100% organic ingredients. Only certified organic products can use the terms “100% organic” or “certified organic” and can display the USDA Organic seal. NOTE; requirements may vary from country to country, and generally involve a set of production standards for growing, storage, processing, packaging and shipping etc. BETTER (above “good”) / Organic – These products should contain 95% or more of all ingredients that are certified organic. These product must not contain any (0%) genetically modified organisms (GMO) and are also subject to inspection and other restrictions. Organic products may use the term “Organic” on the front label, (but not “100%” or “certified”) and may use the USDA Organic seal. NOTE: Requirements vary from country to country, and generally involve a set of production standards for growing, storage, processing, packaging and shipping etc. GOOD / Made with Organic Ingredients – These products must contain 70% or more of ingredients that are certified organic. The remaining non-organic products must be GMO free, and are subject to inspections and regulations. These products may not use the USDA Organic label, and can say no more than “Made with Organic Ingredients”. OK to maybe GOOD / Certified Naturally Grown or CNG – Certified Naturally Grown standards are based on the USDA National Organic Program standards. Farmers are required to submit to an annual inspection. For USDA approved organic producers, this is conducted by a USDA-accredited certifying agency and the producers typically pay fees associated with the inspection. Certified Naturally Grown farmers may be inspected by other CNG farmers, non-CNG farmers, extension agents, master gardeners and wholesale customers, with CNG farmers being ideal, and must also pay an annual fee. Inspectors are encouraged to provide helpful feedback, and by inspecting nearby farms the program aims to foster a sense of community and sharing. Inspection forms are posted on CNG website, and all farms are subject to random pesticide residue testing. 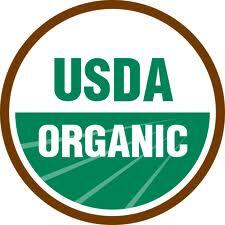 If you buy organic produce or organic meat, you have probably noticed a green sticker that says ” USDA ORGANIC “. 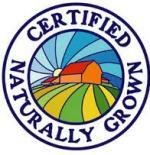 Below we explain some of what this USDA organic food sticker should represent. The organic standards describe the specific requirements that must be verified by a USDA-accredited certifying agent before products can be labeled USDA organic. Overall, organic operations must demonstrate that they are protecting natural resources, conserving biodiversity, and using only approved substances. We believe the average standard for organic ingredients as set by USDA is 50% or better. A brief summary is provided below. USDA Organic Livestock The USDA organic seal verifies that producers met animal health and welfare standards, did not use antibiotics or growth hormones, used 100% organic feed, and provided animals with access to the outdoors. USDA Organic Multi-ingredient Foods The USDA organic seal verifies that the product has 95% or more certified organic content. If the label claims that it was made with specified organic ingredients, you can be sure that those specific ingredients are certified organic. PLEASE ALWAYS REMEMBER; a seal or approval is only as good as it’s source of volunteer compliance and/or mandatory on site certified inspections and enforcement.